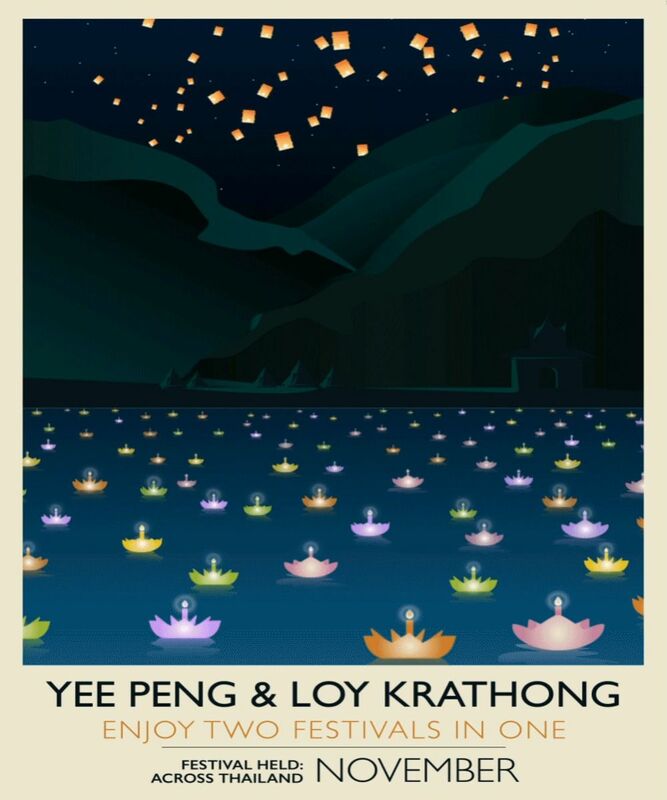 The Poster Monday spot of the day is for the poster “Yee Pang & Loy Krathong Festivals” and were designed by award winning graphic designer Eliza Whyman. She is from the US currently living in the UK, graduated with a Bachelor of Science in Graphic Design and a minor in Web Development from the Pennsylvania College of Technology. Eliza, herself, enjoys travelling exploring and learning about new cultures. Across the world there are dozens of cultural festivals which can be unique to a city or capture the spirit of a nation. To help people make the most out of their travels, Expedia have created moving posters of a selection of world renowned celebrations. Having the posters in GIF form brings the posters alive reflecting the vibrancy of each festival and you can see here. If you would like to find out more about Eliza Whyman work visit her personal web page and remember to submit your poster for the next edition of Poster Monday. Find all the info you need in our submissions page and facebook.